Stranger Things has become more than just a TV show. The hit Netflix series is praised for its excellent storytelling, cultural references, and a theme song as famous as the show itself. Superfans from around the world have even produced their own artwork and mashups, which went instantly viral. And to top it all off, the cast was invited to the White House. 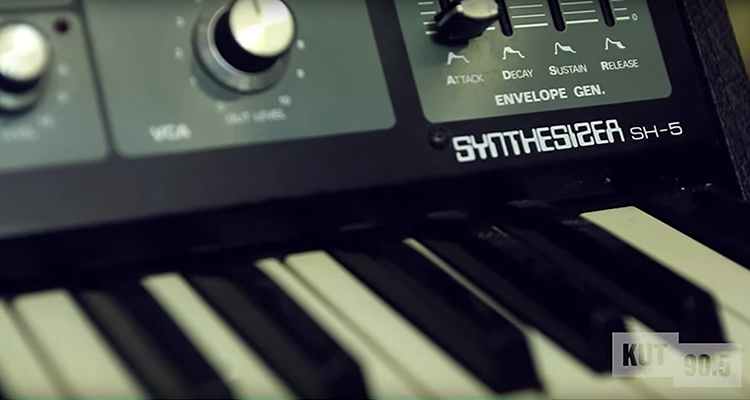 Recently, the musicians working on the show revealed all of the vintage synthesizers that were used in creating the original soundtrack. Nathan Bernier from KUT 90.5 recently interviewed members of the band S U R V I V E, who were more than happy to show off their collection of gear. In keeping with the spirit of the 80’s, all the music that was scored was recorded using analog instruments. From famous brands like Roland, ARP, and Korg, the extensive collection ranges from keyboards, mellotrons, and drum machines all used to capture the show’s ambient mood. Check out the behind the scenes video above and take a nostalgic trip down memory lane.